Managing all of your social media accounts can be a challenge. You know you should be posting regularly on the various networks. You want to create a higher profile and increase engagement. You also want to maximize the views of your content, when the most people will see it. 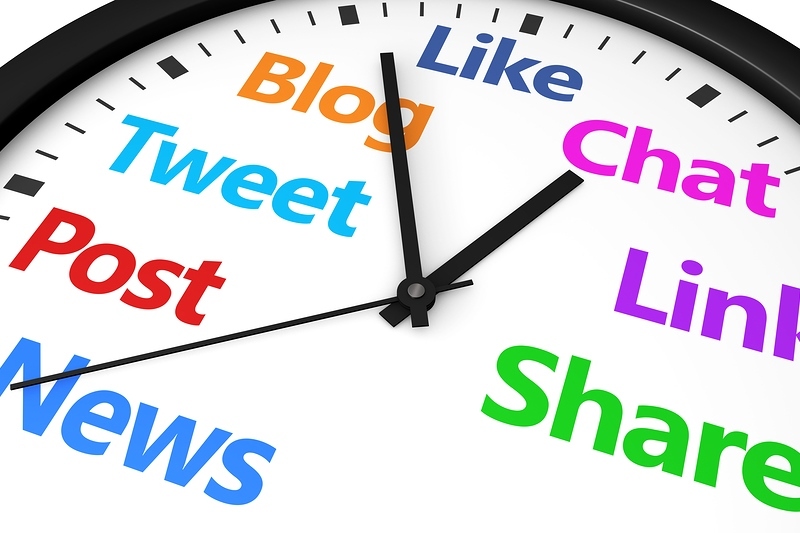 But what’s the best time to post on social media for your audience? It depends on your market, your industry, your audience, and location. All of these things can influence and affect your social media reach, but don’t get discouraged. We’ve gathered together information and resources you can use to figure all this out so your social media accounts hum along at peak performance. Where are you in the world and where is your target market? This information is important when determining when to send out your social media messages, so you can target their time zone accordingly. For example, I’m in the Eastern time zone in Canada and the majority of my Twitter followers are in the U.S., split between the East and West coast. So I have to make sure to send out messages at the right time for both audiences. Google Analytics can help you see where your site visitors are coming from. Chances are, your site visitors make up a large portion of your social media followers too. Social media reports on global users such as Smart Insights’ Global Social Media Research Summary and We Are Social’s annual Digital Global Overview. 2. When is the best time to tweet? First, let’s look at a general “best time to tweet” schedule.